Looking for a new Union bank account? Well, you are at right place. It is bit challenging to standing in a long queue and open a bank account. Creating an account from the bank can take more than a week. But, you can initiate an account online in no time. Well, you can follow the step-by-step procedure to create a new union bank of India saving account online. Step 1: Visit the official website, i.e. www.UnionbankofIndia.com to open a new account. Use direct link https://icmt.unionbankofindia.co.in/account/ to go to an account opening page. Step 2: Fill all the applicant details in the required field. You will require entering the personal details such as name, Father Name, mothering name, Email- Id, State, City, Date of Birth etc. Step 3: Also, you should enter the valid proof details including, PAN card number and Aaathar card number. Make sure that you have given the valid details and click "continue". Step 4: Now one time password will be sent to your registered mobile number. Enter that otp and click the the "continue" button again. Step 5: After submitting the application details, you can proceed to the address tab where you will be required to enter the details of communication address and permanent address. 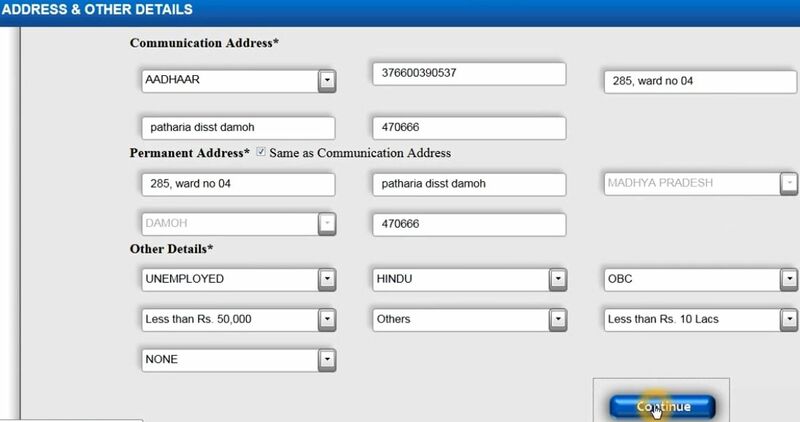 Step 6: In the contact address field, you should enter the location, address, Pin code and Aadhar card number. And, you should enter your city, state and pin code details in the permanent address field. Then, you would enter other details such as Occupation, state, Religion, the source of Income, Annual Income and Nature of Activity. once done, click 'continue'. Then, you will be redirected to the Next page. Step 7: Then, you can fill up the nominee details such as Nominee name, number of nominees, Relation of a nominee and so on. Enter the address, pin code, city and state of the Nominee in the Nominee Address Field. If the nominee is minor, then choose 'Yes', else choose 'No'. Step 8: Select the type of banking facilities such as ATM facility, Credit card, Debit card and Net Transfer Facility. Finally, Click Save and 'Submit application' Button. Final Step: Now download and Take a print out of this application form. Visit your nearest union bank with your application form. After verifying the details, you will be given the bank account details such as User Id and password to proceed further. It's not working site pls give me regular working site.